Employees at this corporate office were slipping on the steps. The old stair nosing was not sufficient to prevent employees from slipping and falling down the stairs. Employee and visitor safety is extremely important to our client. After an employee had an unfortunate slip down the steps, Seguro was called in to remedy the situation. 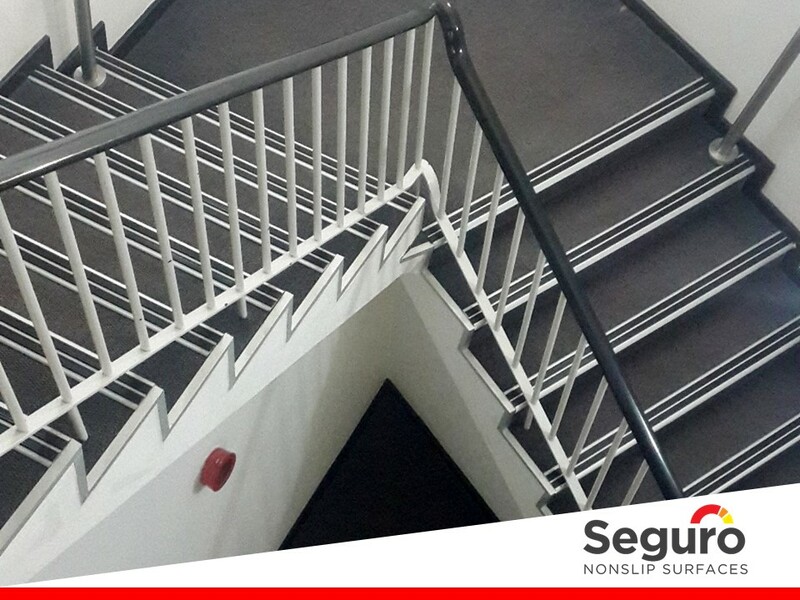 Seguro Nonslip Surfaces recommended replacing the old stair nosing with a double rubber nosing to improve the slip-resistance on the steps.